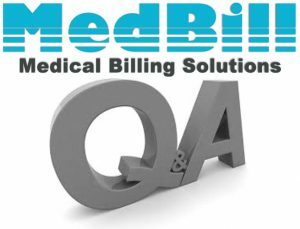 In recent years the future of outsourcing medical billing has been debated because the business of medical billing has rapidly transformed. Changes in the healthcare industry and the competitive business nature of managing and running a practice have increased the need for companies and healthcare providers to keep up with the requirements for practices and the growth and changes in information technology, that, when used effectively, can serve as the catalyst for a guaranteed success in business and margin. With the clear benefits of outsourcing to MedBill, namely the release for practices to run their day-to-day services without the burden of chasing insurance providers and individual bill payers, come some possible possible drawbacks. Both sides should be considered in detail before a practice makes a commitment to outsourcing. MedBill Billing Solutions actively addresses any drawbacks that may cause concern, most significantly: the risk of security breaches; a loss of control over the day-to-day activities and, as the Business Process Outsourcing companies (BPOs) are growing in their knowledge of process, a risk of significant revenue loss. 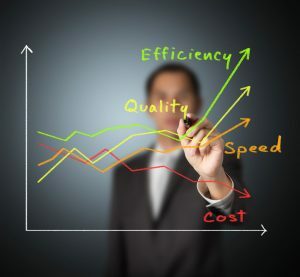 One must consider the process of weighing the pros and cons of outsourcing IT and suggests that the cost of outsourcing compared to paying a full-time employee in-office is an obvious drawback, as well as the potential costs of reduced staff and physician productivity and the removed opportunities for staff serving in an IT role. One could chose to hire a full time equivalent to handle the IT processes, and within six months you may see financial benefits that would be of benefit long-term. The clearest example of this was seen in the comparison of annual costs. When using the outsourced solution, the costs added up to around $80,000 per annum, compared to a significantly lower cost of $42,000 once they hired the FTE. The benefits of having a full-time IT expert have proved themselves, providing greater opportunities for advancement in the in-office technology, and ultimately, for them, served the patients better. On the plus side of outsourcing, the industry has been taking leaps and bounds in training and educating their people in BPO processes in order to ensure correct and accurate results. When considering the benefits, it has to be stated that different models work for different companies, and this plays a huge part in the choice of which direction to go in. 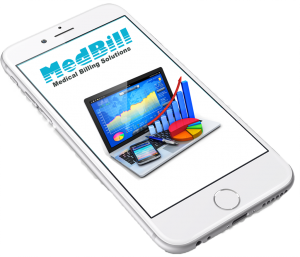 For example, larger, more profitable clients with busy practices would benefit from outsourcing to a well-established billing company Like MedBill. The benefit to both clients and medical billing companies is the possibility for outsourcing companies to lower their rates, with the advantage of maintaining or even increasing their profit. For this to work, there needs to be a desire for continuing culture integration, requiring the billing companies to learn and educate their staff as the healthcare business grows and develops. Years ago, when medical billing was done entirely through paperwork and a series of set fees from healthcare providers, offices were more than capable of handling claims and retrieving payments from insurance companies. The rapid medical advances in the past couple of decades have, however brought about a more complex process of payment and coding and regulations. Fees for each procedure are often the cause of back and forth negotiation, a burden that is weighing heavily on physicians and pushing them to move towards billing companies for help. With the advancement of technology and the almost necessary movement of offices to transfer their patient records electronically, comes a more streamlined process of billing, simplifying coding, payments and almost guaranteeing a 98% collection rate. The changeover from ICD-9 codes to the new ICD-10 coding process of course brings costs and challenges as it is introduced, but the benefits to the industry far outweigh the drawbacks. The advancement removes the amount of frustrating gray areas, meaning easier comparison of medical codes, clear consistency between diagnosis and procedure code. Does the advancement in coding and technology mean a decrease in job opportunities in coding and medical billing? Making the billing process more efficient actually has proven to create more jobs with high salaries. Even as technology advanced, the need for coders and billers is clear, bearing in mind the roles that technology cannot fulfill: problem solving, for example, helping practices through the process of updating their systems, and ensuring that cash flow issues are solved quickly, and, unexpected challenges that technology cannot handle, coders and billers will need to be there to help solve. The US Bureau of Labor Statistics predicts that there will be a growth of 11% in employment for medical transcriptionists and up to a 20% growth in jobs for medical records and health information technicians between now and 2018. The growth shows a bright future for this area of expertise, increasing the opportunity for these professionals to serve the medical field in helping them to save money across US Healthcare over the coming years.